CCTV, high perimeter fence and regular patrols. All the terminals are within a short walking distance from this Official On-Airport car park. 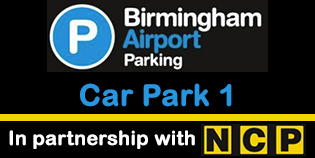 Car park 1 as the Parkmark security award giving you peace of mind that your car is parked in a secure location throughout your trip. Official On airport multi-storey car park.